Corning has been producing most of the glass screens that are found on smartphones these days, thanks to its Gorilla Glass series. The company recently announced the Gorilla Glass 6, but that’s not all it had to showcase. The company is now expanding its reach to wearables as well. 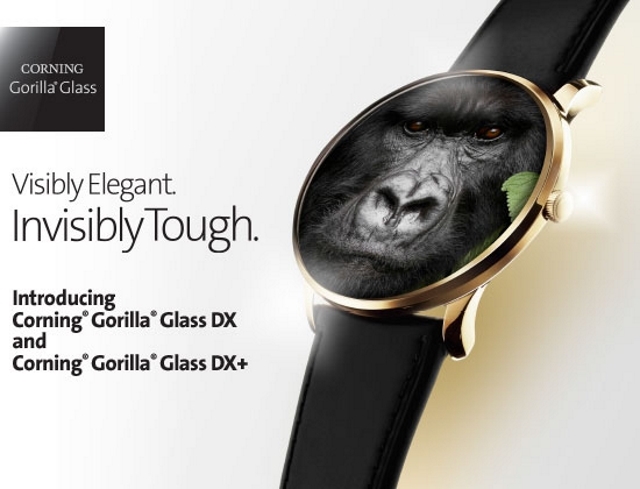 Corning has announced the Gorilla Glass DX and DX+ for wearables which are specifically made to combat sun glare. According to the company, the new products are designed for customers asking for better displays which allow for easier readability in direct sunlight. As per the official blog post, the new line of products will improve front surface reflection by 75% compared to standard glass. It also promises an extra 50% improvement in the display contrast ratio. As a result, it should also lead to a better battery life for your device. As for the models itself, the only difference between the DX and the DX+ is their scratch resistance. The DX model will offer the same scratch resistance as regular Gorilla Glass. The DX+, on the other hand, will come with further improved scratch resistance “approaching that of alternative luxury cover materials” that are “almost as good as sapphire glass”. The company seems to be working hard on capturing the wearable business as well. While smartwatches might be a fading market of its own, smart activity trackers are still thriving, and as such, the new DX and DX+ glasses could really help boost Corning’s share in the market.